Brave, Fearless and close to Alaouite Sultan Moulay Abdelaziz, Kaid Maclain was a Scottish general and instructor of the Moroccan army. His military career brought him to the Kingdom, where he led an interesting life and went through a series of thrilling experiences and narrow escapes. In the mid 1800s, the Alaouite court needed a man like Harry Aubrey de Vere Maclean. Son of Deputy Surgeon-General Maclean, the bulky man joined the British army in 1869 to later become Sultan Hassan I’s right hand. Scottish Presbyterian minister, author, Gaelic scholar, and educator Alexander Maclean Sinclair made reference in his book «The Clan Grillian» (Hansebooks, 2016) to Kaid Maclean reporting that «he resigned his commission in 1876, and accepted an appointment as ‘Inspector in Drill and Discipline’ , in the army of the Sultan of Morocco». A slightly different account provided by Scottish author Brian D Osborne, suggests that in 1988 the Moroccan sultan «sent 100 soldiers to Gibraltar to be trained as a cadre of instructors for his army and asked the British Ambassador to Morocco, Sir John Drummond-Hay, to find a British officer who would enter the Sultan’s service and train his army». In both cases, Maclean joined the services of the Sultan, gaining so much notoriety for his military skills, humor and Scottish origins. Indeed, he was «popular among the moors», wrote Alexander Maclean Sinclair in his book describing the Kaid as «an energetic man, excellent horseman and a good marksman … always ready to run risks in the Sultan’s services». Maclean’s origins were not the only factor that made of him a well-known and respected man in the Kingdom but also his maneuvers and adventures in the Alaouite court. 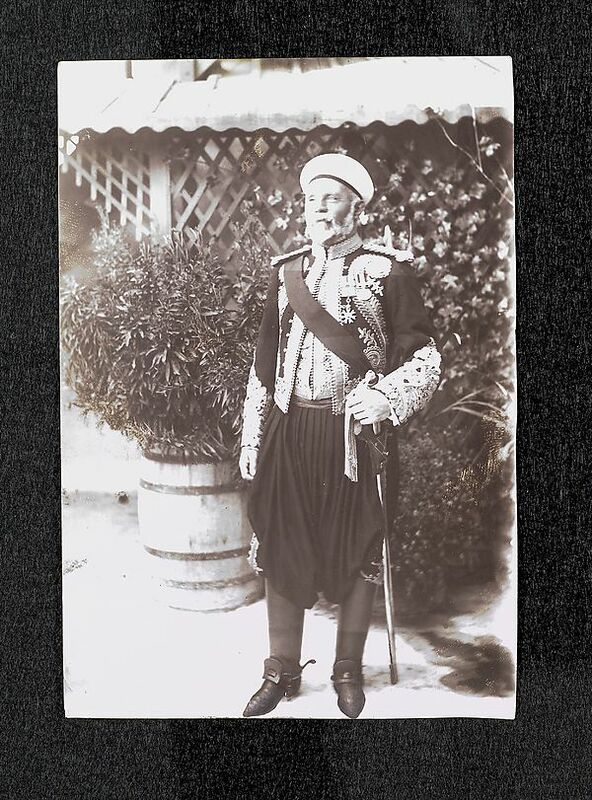 His first big operation took place in 1894 when Sultan Hassan I, who was close to Maclean, died while on a tax-gathering expedition, said Osborne. To maintain peace Kaid Maclean and «the Sultan’s Chamberlain, together conspired to keep news of the death secret until Hassan’s favorite son, Moulay Abdelaziz, then only fourteen, could secure the succession». The Scottish Kaid kept the Sultan’s death secret from all apart his personal slaves for five days. The body was not buried until, the expedition made it to the capital. The trick was a good start for Maclean and Sultan Abdelaziz’ relationship as the two men went along easily, and had the same ideas. Quickly Maclean was appointed an army commander. He trained the Moroccan infantry and enjoyed being the Sultan’s closest advisor at a time when the Sultanate was struggling to face major European powers that had interest in Morocco. 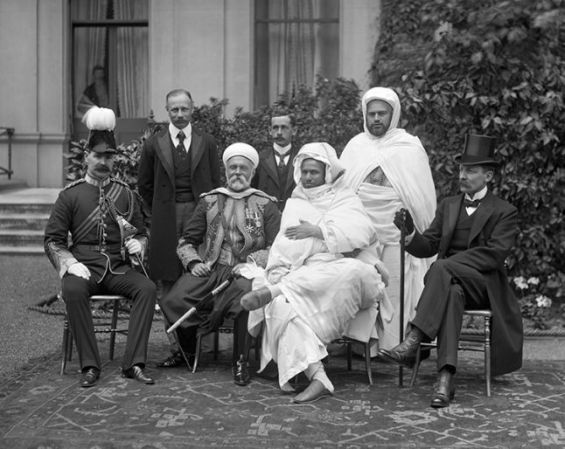 Furthermore, for Brian D Osborne who quoted an article issued by «The Times» in 1901 Kaid Maclean «was probably the only person in Morocco to share the Sultan’s modernizing views». Known for his passion for the Western World, Moulay Abdelaziz found in Maclean the man who would meet his childish demands. According to the same account, Kaid Harry Maclean «catered for the young Sultan’s interest in western novelties such as bicycles and cameras by importing them for the Sultan and taking a commission on the deal». Maclean’s adventurous career in Morocco, however, did not end well. Sent by the Sultan to negotiate with Raisuni, a Moroccan rebellion who led a bandit in the Jebala region, Maclean was kidnapped. For seven months, the distinguished kaid was held hostage by Raisuni’s men. Maclean, who was suspected of being an unofficial agent for the British, and while kidnapped sent letters to British Ambassador Sir Gerard Lowther describing the horrible conditions he endured. Raisuni who asked for a £20,000 ransom from the British government, tried to force Maclean into signing some letters through psychological warfare. «The man in charge of my guard is an awful brute – three days ago I had a big row with him and since he and all his men have made a dreadful noise just outside my tent every night until past 4 o’clock in the morning, only to annoy me». In February 1908, Kaid Maclean was released and Raisuni and his bandits received the ransom they claimed. However, the Scottish' days in Morocco have come to an end especially as his favorite Sultan was replaced by his brother Moulay Abdelhafid. Maclean returned to his country but couldn’t leave Morocco for so long. After a divorce, he sailed back to Tangier where he spent the rest of his life as a retired Scottish commander who had once been the Sultan’s favorite advisor.